Small island developing states are vulnerable and need unique solutions to overcome the hazards of climate change. Dr Stefano Moncada writes about research which tries to find the right answers to a complex problem. There are 52 small island developing states (SIDS) in the world, of which 38 are members of the United Nations. While they may differ in many ways, these countries also share certain features that distinguish them from other country groups. Most of their socio-economic activity is centred around bustling coasts and is reliant on ocean resources. This makes their fragile, smaller markets vulnerable to extreme weather and climatic shocks. 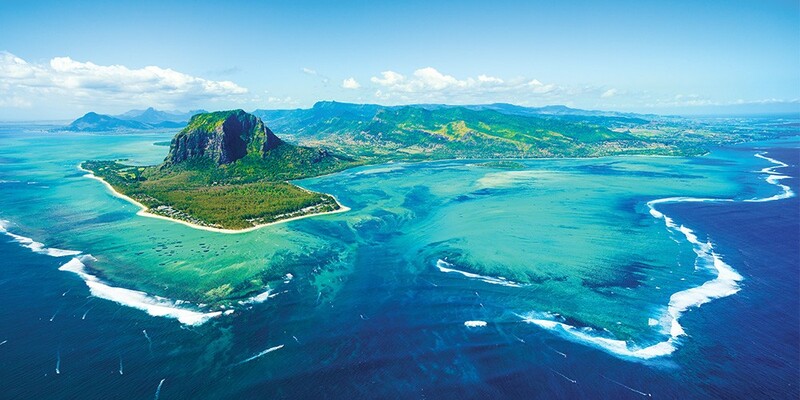 Vanuatu, Fiji, Mauritius, Maldives, Jamaica; you were probably day-dreaming about one of these before coming across this article. Sadly though, their beauty, much romanticised, is increasingly at risk. Their high degree of vulnerability and exposure to external shocks is severely impacting people’s livelihoods, challenging existing infrastructure, and making everything relatively more expensive when compared to larger states. With climate change, SIDS are experiencing a further layer of complexity which poses a threat to their very existence. Some islands simply cannot cope with extreme weather events; others are slowly disappearing due to rising sea levels. Our research tries to understand these problems and find solutions. Our team investigates the links between climate change and development in SIDS. We identify climate impacts and try to understand how communities react to them. We question existing policies: do they provide adequate support, helping countries to become more resilient and to bounce back while increasing their standards of living; or do these policies actually hinder this? We also consider remote and isolated communities, often neglected by other researchers, and assess if indigenous knowledge could provide sustainable, context-specific solutions. All this work has culminated in the publication of a special issue of the International Journal of Climate Change Strategies and Management on the theme of ‘Climate Change and Development in Small Island Developing States.’ The aim of this publication was not only to contribute to the academic debate, but to also inform policy and provide guidance to governments when faced with choices in SIDS. The special issue contains contributions from experts around the world. Sociologist Godfrey Baldacchino points to some of the problems that arise when climate change impacts are based on a Western understanding of what ‘the future’ means. What the ‘future’ looks like in a rich Western country is often very different from that of a developing country. This is perhaps amplified further in SIDS, where the adoption of outsider-imposed plans, concepts, and priorities to address local concerns on climate change can waste time and effort. Geographer Aideen Foley reiterates the importance of made-to-measure solutions in reference to climate impact assessment methods. She believes that these systems need to be better adapted to the size, boundedness, and isolation of many SIDS. Systems applied at broader scales cannot simply be downscaled to island settings. Dr Moncada conducting participatory focus groups with coastal communities in the Mauritius. Adding to this, Patrick Nunn and Roselyn Kumar investigate operationalising interventions capable of ensuring effective and sustainable livelihoods. They propose harnessing the comparatively high degrees of social coherence, closeness to nature, and spirituality present in island societies. Bioanthropologist Hilary Bambrick also presents alternatives to resource extraction and options for climate compatible development in the Pacific. This would be based on harvesting local knowledge to promote community and nature-based solutions. Knowledge can come in all forms and the merging of science and indigenous knowledge is important to raise awareness and enhance perception of climate change in island communities. Picking up on the need to communicate effectively with a local audience, Stuart Capstick, Sarah Hemstock, and Helene Jacot des Combes examine the role of the visual arts in communicating the effects of environmental change in SIDS. 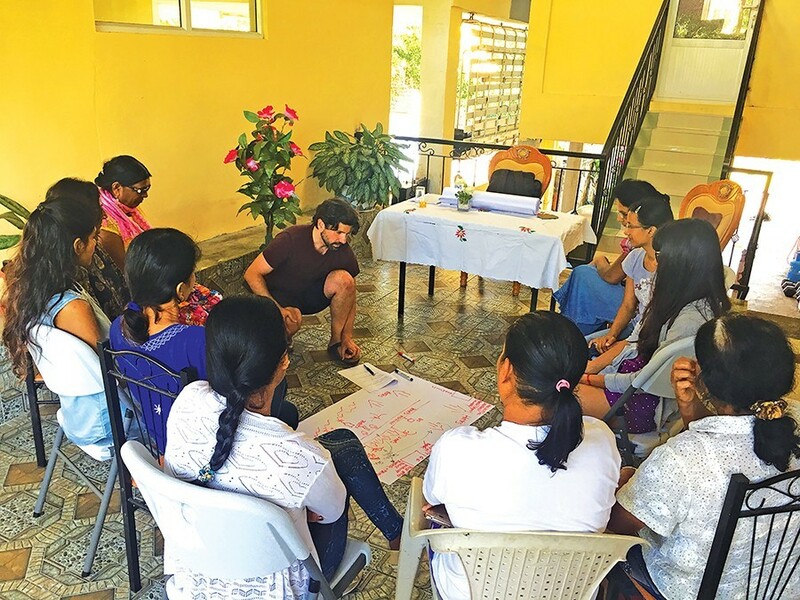 In their view, different tools, such as storytelling, are needed to engage with communities and these should be integrated into formal educational and vocational training. The reality is that the perception of the threat that comes with climate change varies from person to person. Rory Walshe, Adam Bumpus, Joelle Auffray, and Denis Chang Seng argue that the difference in perceptions on climate change issues, solutions, personal vulnerability, and the comprehension of science can help to tailor policies and solutions. Of course, other countries have contributed to our present reality. International political theorist Milla Vaha explores how climate justice literature addresses the concerns of SIDS losing their land from the perspective of potential relocation. Do SIDS actually have legitimate rights-claims towards the international community? Two endangered states, like Kiribati and the Maldives, identified New Zealand and Sri Lanka respectively as potential new homelands. Vaha investigates the responsibilities involved in these hypothetical proposed scenarios, suggesting that there is a complex relationship between the potential hosts and the relocating communities which cannot be ignored. Doing so could lead to extreme hardships and loss of human life. Our findings show that what we know is still relatively too scarce. However, a promising stream of research is demonstrating how nature can become a strong ally in the battle against climate change. Soft responses and nature-based solutions, such as change in crop types, managing land use changes more sustainably, and replanting mangroves can promote better climate change adaptation and increase the livelihoods of coastal communities. Big engineering projects such as sea walls or break waters are not always the best possible solutions. Such projects have also been labelled ‘a quick solution to an acute problem.’ While support and donors can be attracted to such visible projects, excited by the ‘cutting the ribbon’ effect, we need to foster an element of patience that will see us reaping the rewards of effective long-term projects. In a world of instant everything, patience and the ability to build on incremental knowledge has never been more important. The University of Malta, with its Islands and Small States Institute, the Institute for European Studies, and the Climate Change Platform, is at the forefront of international research on climate change in SIDS, leading international publications, research projects, and promoting agreements with universities and research centres, in Europe and in SIDS, to strengthen networks, advise institutions, and promote the exchange of best practices. Get involved in our work and in touch through social media [Facebook @um.ccplatform; Twitter @umccplatform] or send us an email at ccp.research@um.edu.mt. Duvat V.K.E., Salvat B., and Salmon C., ‘Drivers of shoreline change in French Pacific Atoll Reef Islands’, Global and Planetary Change, 158, 2017, pp. 134-154. 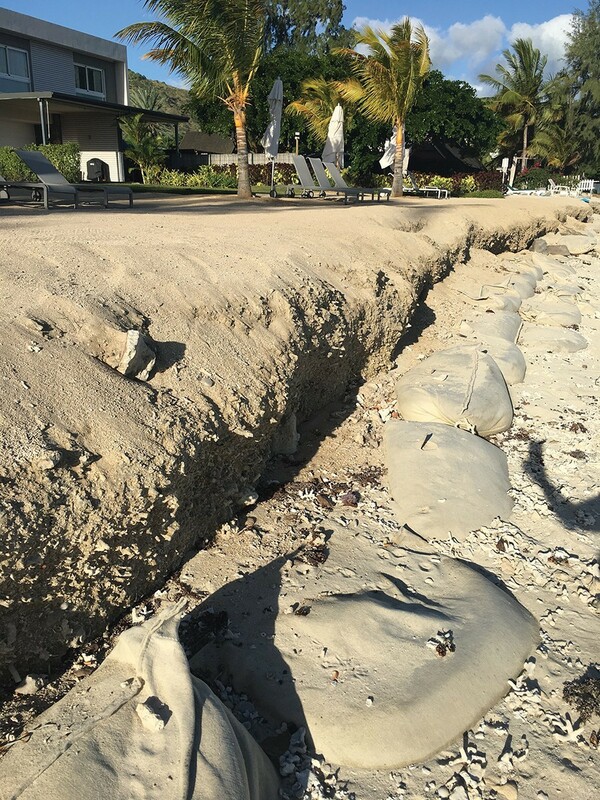 Jackson, C.W., Bush, D.M., and Neal, W.J., ‘Documenting Beach Loss in Front of Seawalls in Puerto Rico: Pitfalls of Engineering a Small Island Nation Shore’, in Pitfalls of Shoreline Stabilization, Dordrecht, Springer, 2012, pp. 53-71. 158, 2017, pp. 134-154.